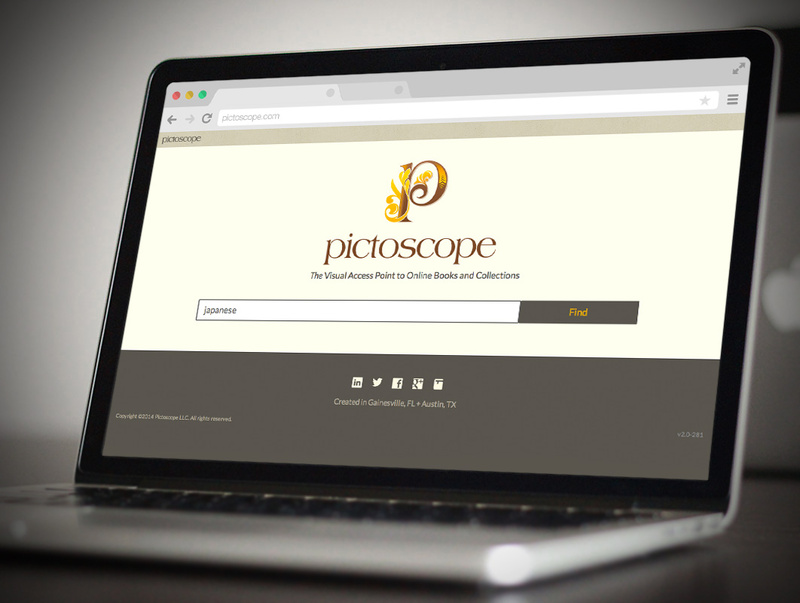 Pictoscope’s visual discovery services generate compelling image content capable of instantly improving access to digitized books, artwork and online collections. In today's online environment, less popular but essential content is at times lost, hidden in the depths of the Deep Web. 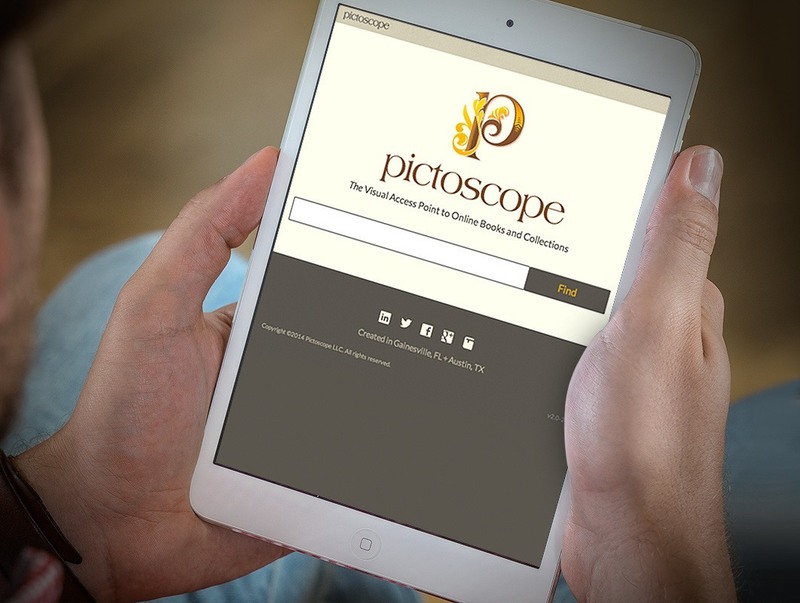 Pictoscope’s products and services stand alone. We invite you to come and discover a new visual gateway to online books and collections. 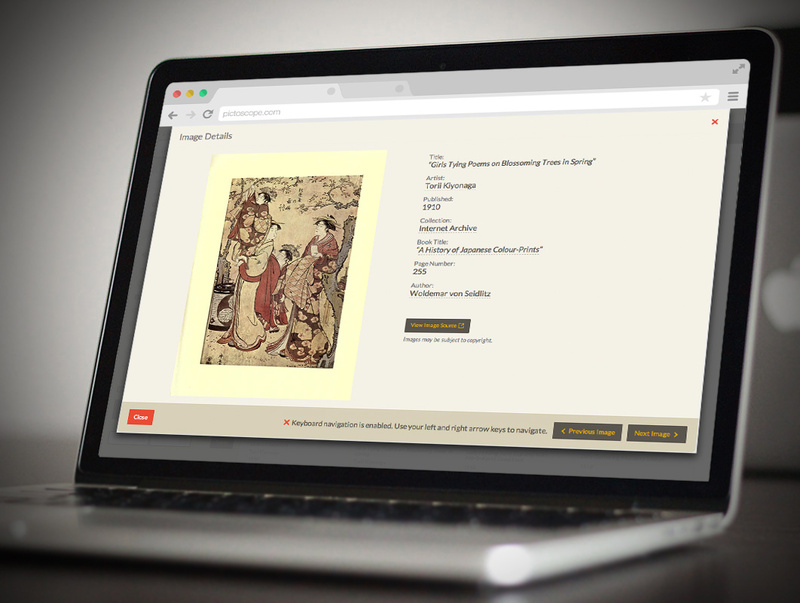 Pictoscope's visual discovery services are revolutionizing research by opening a new window onto historical archives. 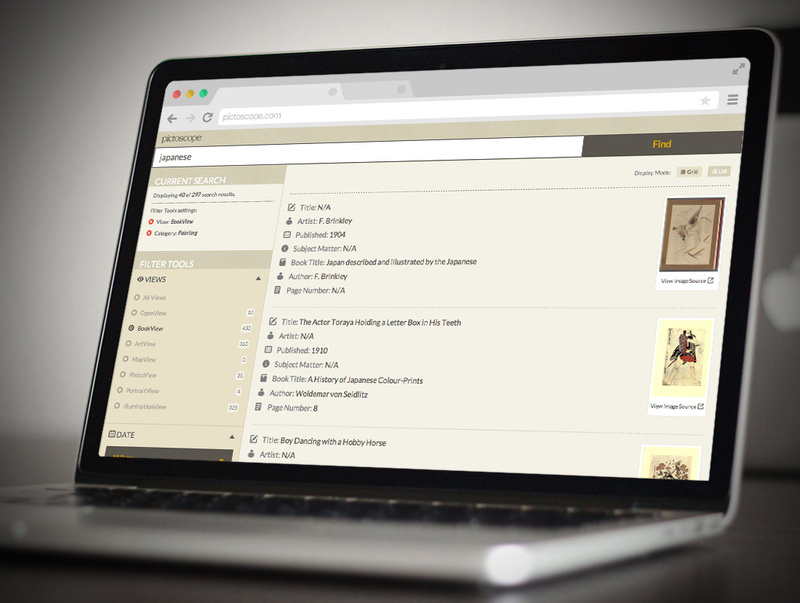 Through keyword searches and thumbnail returns, Pictoscope products generate a new vision of humanities and social science research. Pictoscope Views (BookView and OpenView) represent Pictoscope’s essential collection areas and help to further improve patron access to books, images and art. BookView is a Open Eductional Resource (OER) that takes users from an image into a book - it's that simple. 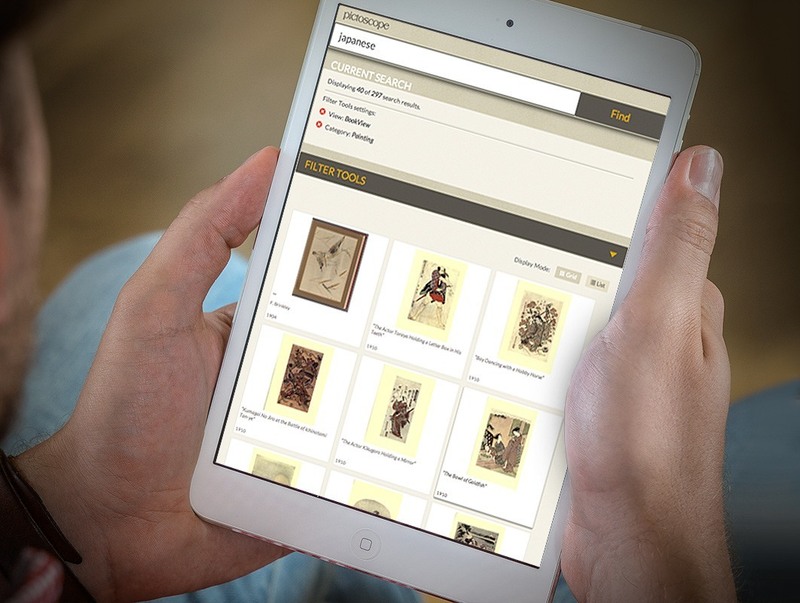 For the first time ever, patrons can search books from the inside out - discovering a new world of hidden images and art that open up historic library collections in an exciting new way. 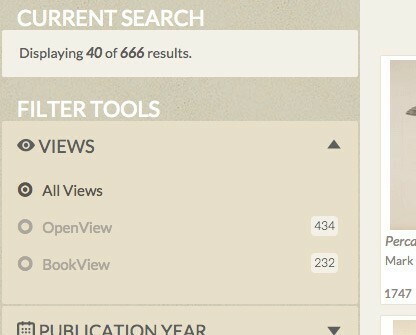 BookView produces thumbnail results based on keyword searches. Users can browse results by scrolling down or clicking to enlarge images in a viewer. A simple click links to pages in digitized books and publications hosted by online collections around the world. 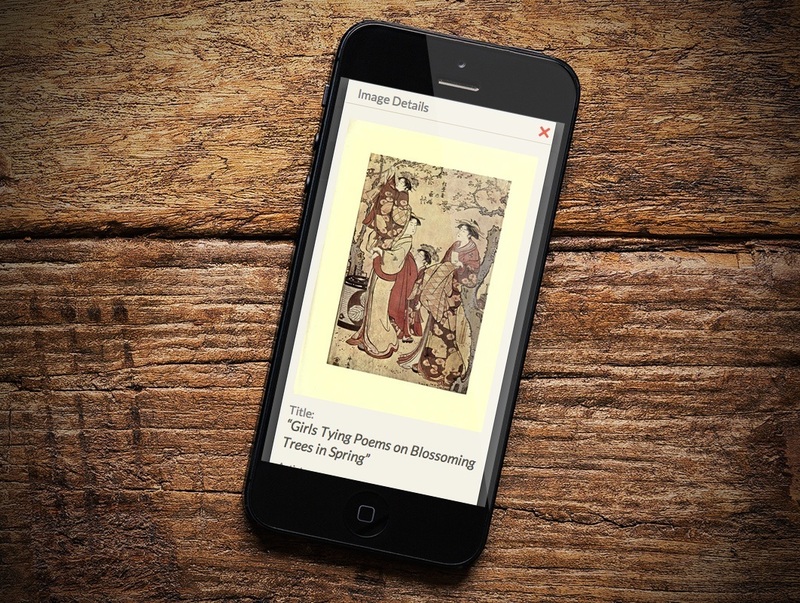 BookView provides access to over 2.5 million images, illustrations, drawings, maps, artwork and other visual content. 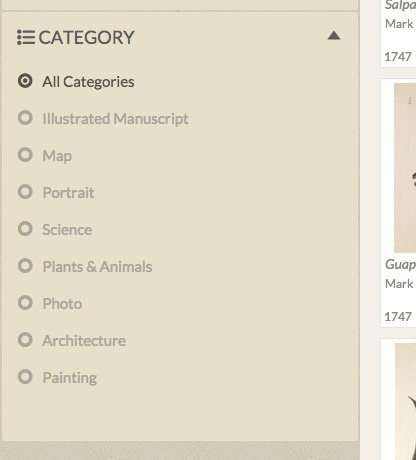 The resource instantly links users to content provided by more than 350 library and institutional collections. 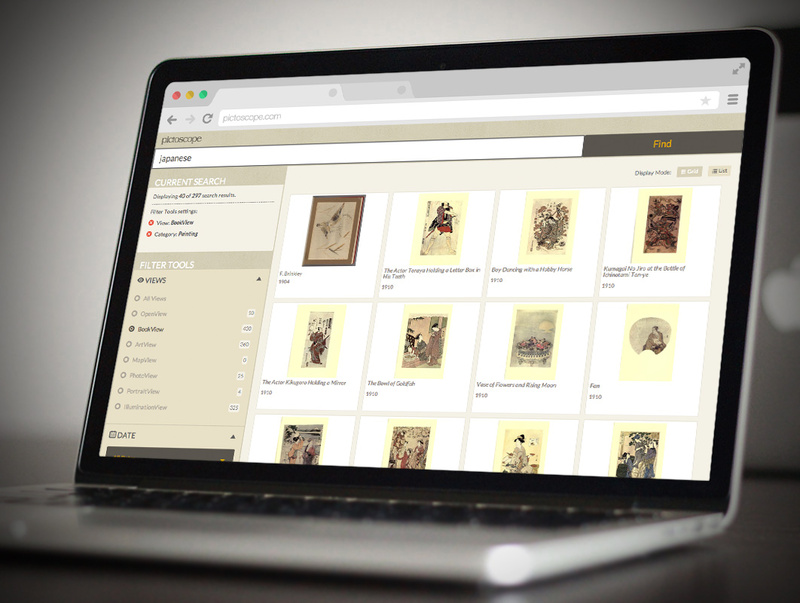 When used in conjunction with Pictoscope’s OpenView, users have access to over 3.5 million images scanned from historical book collections. It is often said that an image speaks a thousand words. 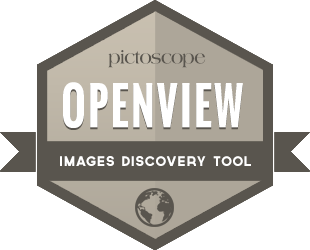 The power of visual language is on full display with Pictoscope's OpenView. 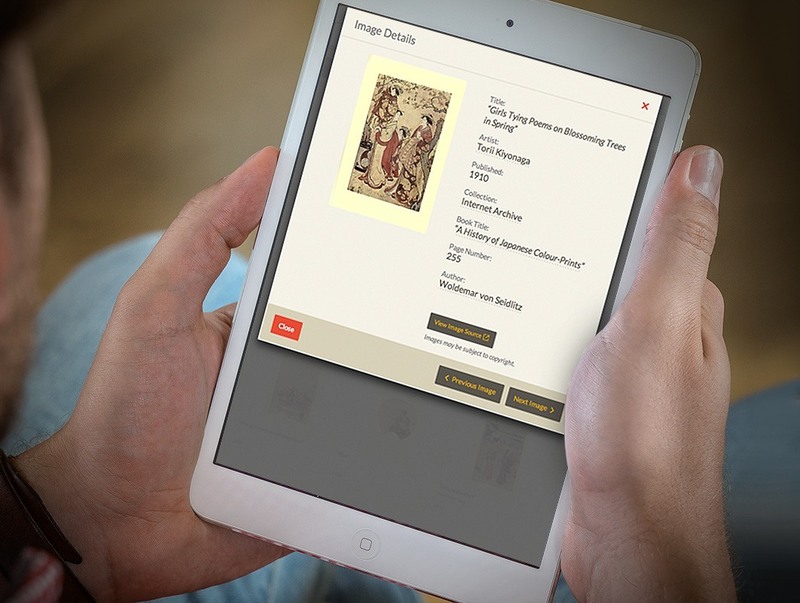 This openly accessible resource provides an opportunity to improve access to institutional image collections related to historical books, periodicals and library materials. A new generation of metadata discovery tools, applications and standards makes OpenView possible. 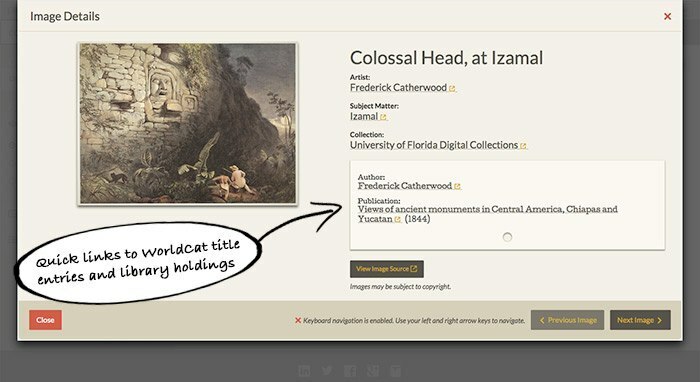 In addition to metadata harvesting and other automated improvements, Pictoscope invites librarians, archivists and curators to tag and share their own institutional image content. These newly created records invite both local and outside patrons to make new discoveries and revalue historic holdings. 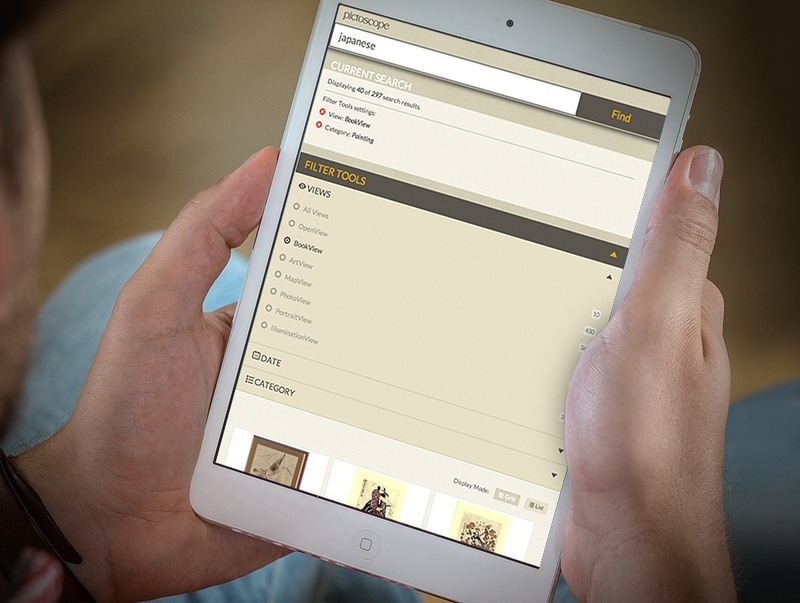 Get your free online account and/or to make your institution's materials available in OpenView. 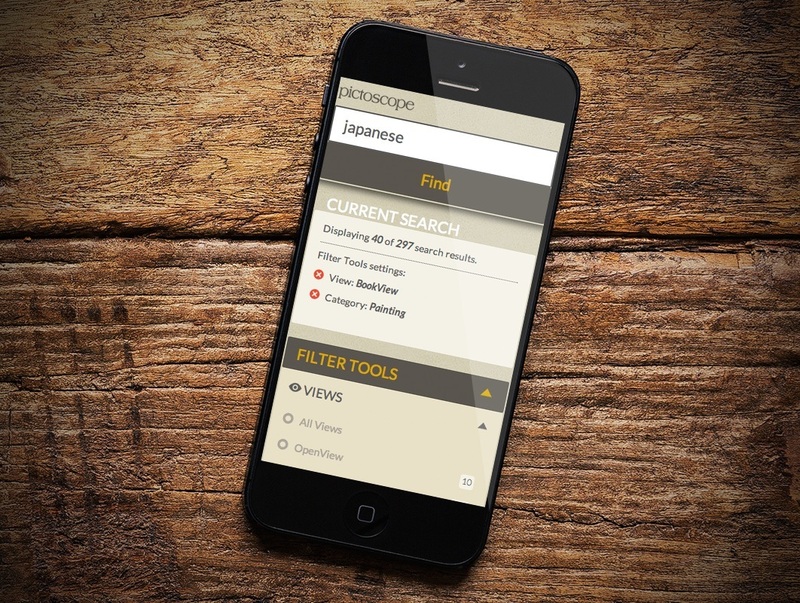 BookView users choose from two Pictoscope Views (BookView and OpenView) to help narrow search results. Welcome to the visual archive. 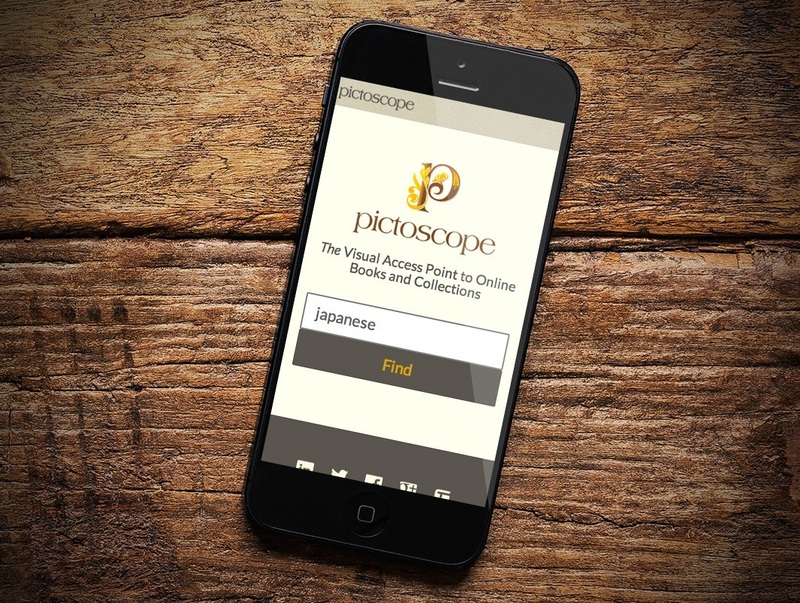 Pictoscope was designed to forever change the way we think about access to electronic books, collections and archives. The site’s designers have simplified research by keeping things simple, easy to use and visually elegant. Attention was paid to small details designed to eliminate traditional barriers and bring into focus the visual patrimony of the world’s greatest books, artwork and online collections. 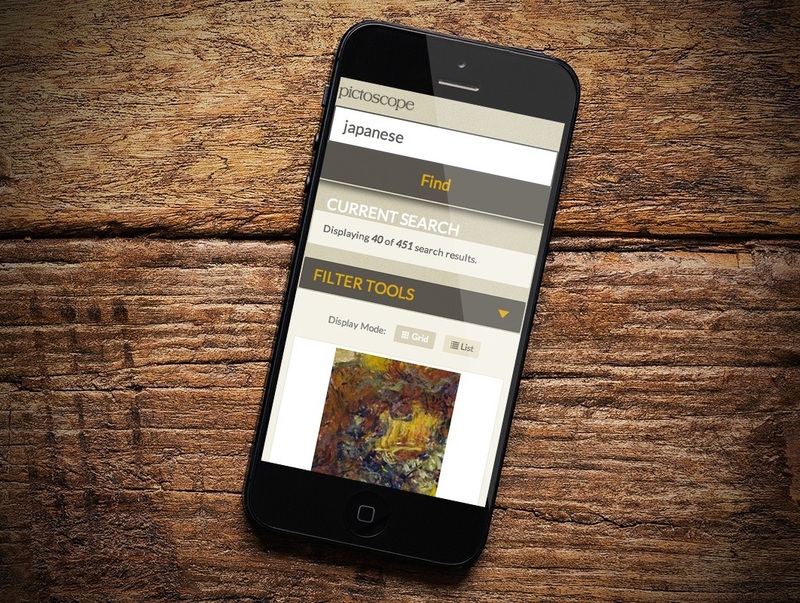 If a picture is worth a thousand words, we hope you enjoy what you will see with Pictoscope. 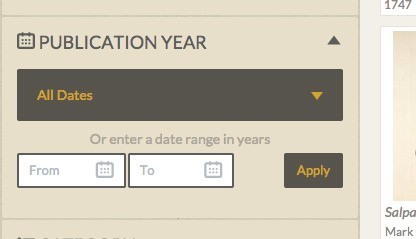 Contact our dedicated sales and support team by submitting the form below. We're happy to answer any questions you may have and/or gather your required information in creating a license for your institution. Copyright ©2014 Pictoscope LLC. All rights reserved.